Don’t forget to save the date for the National Lawyers Guild NW Regional Conference (& these other great events)! Once we recognize that society repeatedly exposes us to unconsciously absorbable stereotypes, what can we do to counteract these biases? Please join Joy Williams, Interim Co-Associate Director of the Washington State Bar Association Advancement Department, for an overview of strategies for groups and individuals seeking to move beyond the hidden assumptions, judgments and uncomfortable behaviors that flow from implicit bias. If you would like lunch please RSVP via Symplicity or gatespsl@uw.edu RSVP by 12:00 pm Monday, February 22, 2016. The market for legal jobs is difficult right now and specializing in a particular issue, like international law, can make your job search even more frustrating. Wes Rist is the director of education and research at the American Society of International Law (ASIL) and author of ASIL’s Careers in International Law, a practical guide to pursuing a profession in international law. He will discuss the steps that students can take while still in law school to help themselves stand out in the search for an international law position. Topics covered will include targeted job searching, resume drafting, managing one’s professional contacts, identifying appropriate international experiences, pursuing valuable volunteer and professional membership opportunities, and other practical issues that students can pursue while still in law school. After obtaining an American LL.M. degree, the options for a career in international law for non-U.S. residents or citizens can be difficult to navigate. Especially since the market for legal jobs right now is difficult at best, making your job search even more frustrating. Wes Rist is the director of education and research at the American Society of International Law (ASIL) and author of ASIL’s Careers in International Law, a practical guide to pursuing a profession in international law. He will discuss the steps that LL.M. students can during their year of study to help themselves stand out in the search for an international law position, as well as what realistic job expectations are for foreign lawyers seeking to find work in the United States. Topics covered will include targeted job searching, resume drafting, managing one’s professional contacts, identifying appropriate international experiences, pursuing valuable volunteer and professional membership opportunities, and other practical issues relevant to foreign LL.M. students. The American Society of International Law (ASIL), in co-sponsorship with University of Washington School of Law, will host a unique forum that will expose law students and new legal professionals to experienced international practitioners. The event will begin with a brief introduction of the panelists and several questions presented by D. Wes Rist, ASIL’s Director of Education and Research, designed to provide insight into professional development opportunities, as well as to illustrate the various avenues the panelists took into international legal practice. Following the group discussion, each panelist will “host” a table where a small group of students can spend 10-12 minutes asking more personal, directed questions of the participants. Students will then be able to rotate to a new table, gaining the chance to learn about several different avenues of international employment. 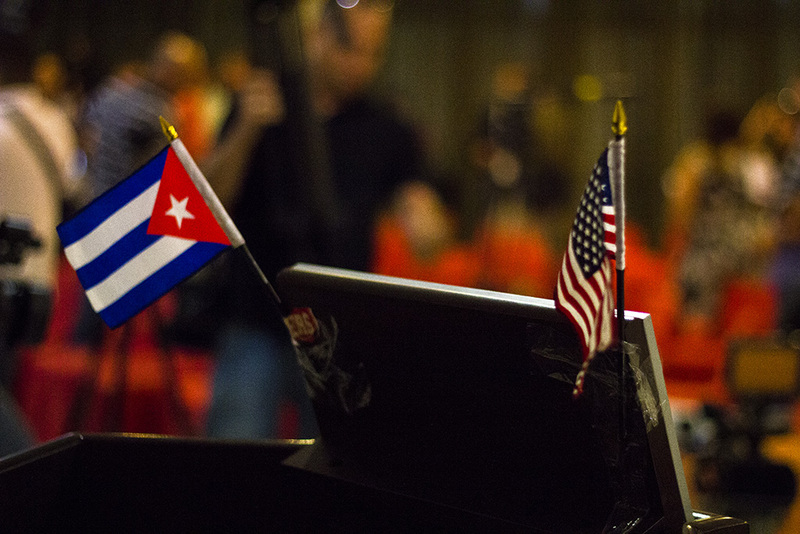 Keynote speaker, Miguel Fraga (1st Secretary of the new Embassy of the Republic of Cuba in Washington, D.C.) will discuss the challenges and possibilities of imagining a new relationship between the U.S. and Cuba. The event will be from 10:00am-4:00pm at Seattle University School of Law, Sullivan Hall C-6 (Corner of 12th and Columbia Ave.). There is no charge for entrance, but donations are welcome. Now is an important time for the Supreme Court case Friedrichs v. CTA, which threatens workers’ rights to organize in effective unions. The Court heard oral arguments in Friedrichs on Monday, January 11. Join us for a special screening ofThe Right to Unite, our short film highlighting the importance of unions through the stories of two home healthcare workers. Following the film will be a discussion about the case and the threat to all workers’ rights posed by the conservative majority on the Supreme Court. SEIU 775, 215 Columbia St, Seattle, WA 98104. Watch the trailer here. Please mark your calendars! The 2016 NLG NW Regional Conference will be held on Saturday, April 9 and Sunday April 10, 2016 in Seattle, Washington at the University of Washington Law School. It will be an all-day event on Saturday and a half-day event on Sunday.